The burger: Not many chefs have a space devoted exclusively to the butchering arts. But Matt Leverty does. 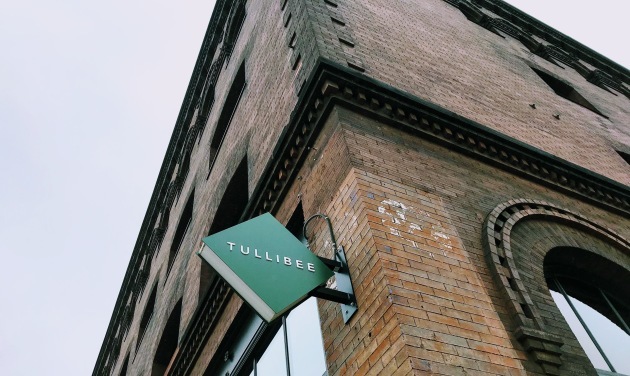 He’s the newish chef at the Hewing Hotel’s Tullibee, and the benefits of having that ultimate kitchen tool in his cooking arsenal is reflected in the (tiptop) quality of the restaurant’s burger. Peterson Craftsman Meats in Osceola, Wis., delivers whole sides of beef to that basement butchering room, and top-shelf trim from various cuts fortifies a standard chuck-brisket formula. The result — at least on the afternoon when I taste-tested — was a profoundly rich and beefy bite. Creating this memorable burger is a time-consuming process. The beef is ground twice, the meat rested and chilled between the two grinds. Patties weigh in at 3 1/2 ounces, and with two to a burger, that’s a heaping helping of upper-echelon beef. They’re pressed into a thin, diner-style shape on the flat top stove. It’s a noticeably seasoned burger, using a blend of salt, black pepper, cayenne pepper, celery seed, onion powder, garlic powder, juniper and mace. Agreed. 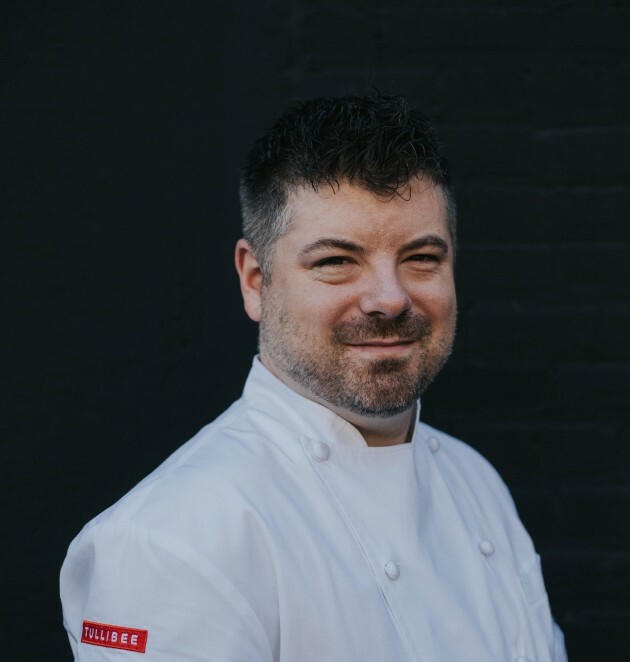 The Rustica-baked brioche bun needs no introduction (“It’s the best brioche bun that I’ve had in the city,” said Leverty), and garnishes are kept to a minimum. That's smart. There’s a Thousand Island-like sauce fashioned from ketchup, mayonnaise, slow-cooked shallots and a splash of pickle brine, and it’s applied with an admirable restraint. Instead of pickles, or tomatoes, color and texture come in via tender leaf lettuce and crunchy red onion. Why raw onions? This is a cheese-ey (in a very good way) burger, with thickish slices draped over the top of each patty. 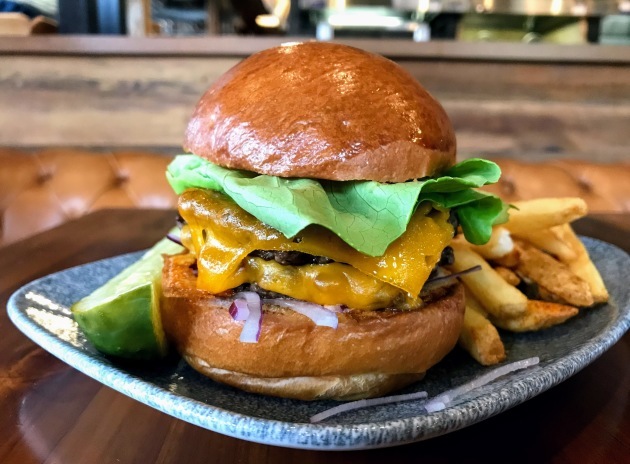 Leverty and his crew taste-tested a long list of options before landing on a Colby from Deer Creek Cheese in Sheboygan, Wis.
Big surprise: this cheeseburger has become the menu’s bestselling item. Price: $14. A good value. Fries: Included, and tasty. The skin-on cuts are thicker than shoestrings and thinner than steak cuts. “This is a happy medium,” said Leverty. “They hold their crispiness like a shoestring, but they’re meatier, like a thicker fry.” The seasoning — it’s a blend of Old Bay, paprika, cayenne pepper, salt and red wine vinegar powder — is a holdover from Leverty’s predecessor. “And it was too good to move, I’ll be honest,” he said.